On 1 November 1914, the first convoy of Australian and New Zealand troops departed for the first World War from King George Sound, Albany. In total, 41,265 service men and women departed Albany in the first and second convoy. 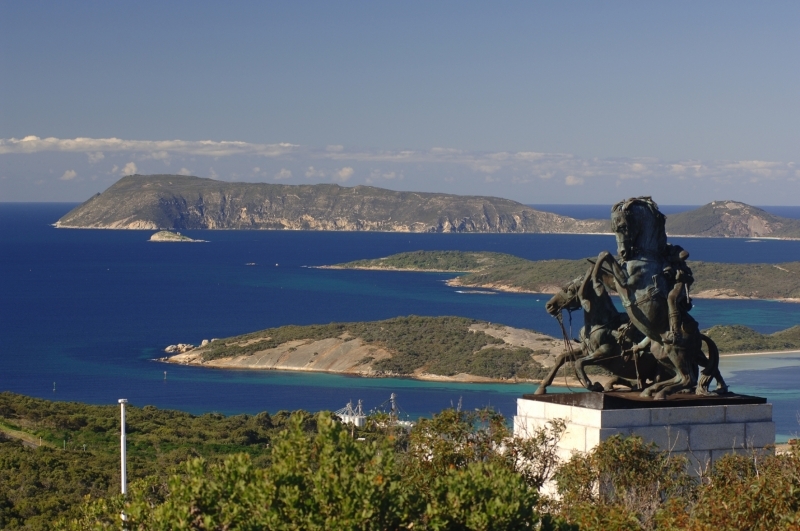 For many who did not return, Albany was their last sight of Australian soil. 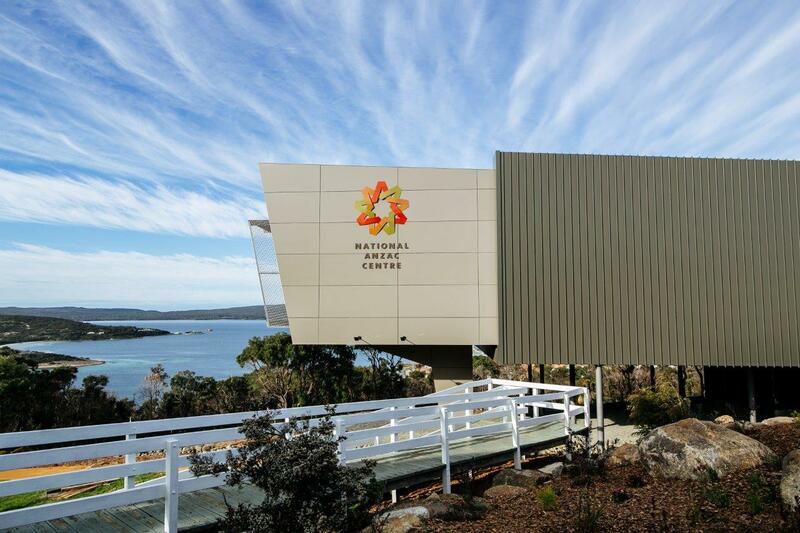 At the National ANZAC Centre the story of the first World War is told in a deeply personal way through the individual stories of the serving men and women. Visitors assume the character of one of the 32 ANZACs and follow their personal experiences through the Great War - from embankment to life on board ship; to Gallipoli, the Middle East and the Western Front and, for some, return to Australia. At dawn on 25 April 1930, Padre White led parishioners to the summit of Mount Clarence near Albany to observe the laying of a commemorative wreath to the fallen, thus founding Albany's dawn service tradition. The site is widely regarded as the location of the first dawn service. ANZAC stories have been integrated into seats located throughout the park, providing rest points to reflect. St John’s is Padre White’s home church and Western Australia’s first consecrated church. Learn more about Padre White and the dawn service tradition. Learn about the region’s natural and social history at this informative museum. A life-sized statue of Mustafa Kemal Ataturk, the President of Turkey from 1923 to 1938 and the leader of the Turkish forces at Gallipoli. Commissioned in 1893, the Princess Royal Fortress represents one of the first co-operative acts between the pre-Federation states of Australia and is the oldest surviving military site in Western Australia. After the first World War, soldiers from Australia and New Zealand contributed one day’s pay to commission a monument to the fallen on the banks of Port Said in Egypt. The Desert Mounted Corps Memorial replicates this memorial and stands on the summit of Mount Clarence, home of Albany’s first dawn service. Large gum trees line the Avenue of Honour – the road to the top of Mount Clarence. At the base of each tree, plaques bear the names of soldiers lost at war.